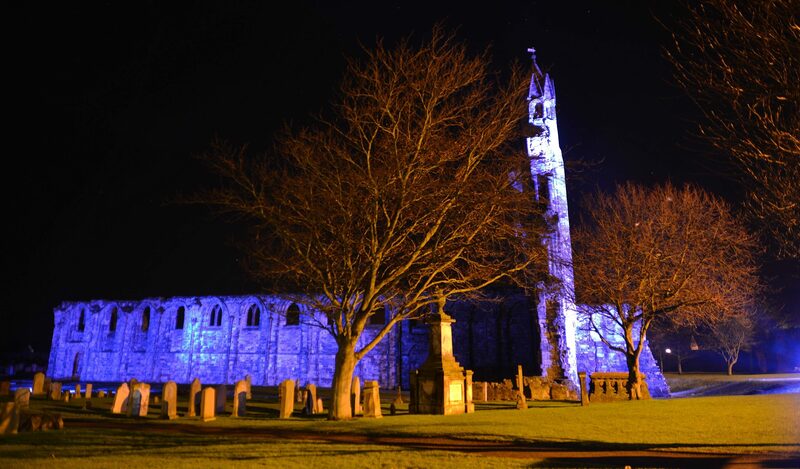 St Andrews Cathedral during a recent demonstration of the proposed lighting system. Ambitious plans to light up the remains of one of Scotland’s most famous historic buildings has ruffled the feathers of a group of locals. St Andrews Community Council members fear the proposal to install architectural lighting at St Andrews Cathedral will have a detrimental impact on owls. They also claim it could lead to the cathedral and its burial grounds being treated as a fairground amid suggestions pink lights could be produced on Valentine’s Day. The organisation’s planning committee has lodged a written objection against the £195,000 scheme which would see the famous ruins lit up for the first time in a decade. 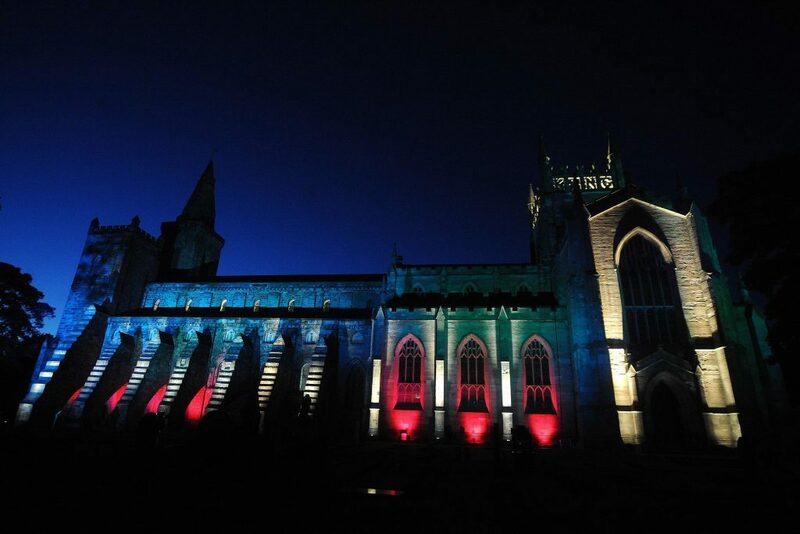 Dunfermline Abbey is another historic Fife building lit up at night. Local charity St Andrews Partnership, which is raising money for the LED lighting, said the points raised were fair but insisted there was no intention to be disrespectful. 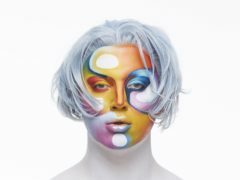 The public has so far raised almost £11,000 for the state-of-the-art equipment which the partnership believes would show the cathedral at its best. It would replace lights which were removed after falling into disrepair, and has the backing of cathedral custodians Historic Environment Scotland. The community council’s planning convener, Penny Uprichard, said it remained to be seen whether the “optimistic claims” that the lighting would boost the economy and raise the profile of Fife would be realised. Patrick Laughlin, manager of St Andrews Partnership, said the lights were more environmentally friendly and produced less light pollution than the old ones. “Of course there is no intention to be disrespectful,” he said.